Disney’s Magic Kingdom has been busy the last few years. With the New Fantasyland, there have been some major changes to the park. Being the largest expansion in Walt Disney World history, the New Fantasyland has given guest a many new and exciting things to see. Even with all of that excitement, the anticipation of the latest ride finally opens today! Seven Dwarfs Mine Train is a steel roller coaster currently operating at Fantasyland at Magic Kingdom. 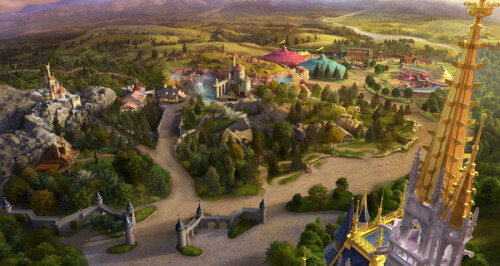 It is part of a major expansion of Fantasylandand is based upon the story of Snow White and the Seven Dwarfs, the first animated feature film that Walt Disney made. Whistle a cheery “Heigh-Ho” because the Seven Dwarfs Mine Train is rolling into New Fantasyland! So get ready to rock around like never before—there’s new kind of excitement rocking back and forth through New Fantasyland! 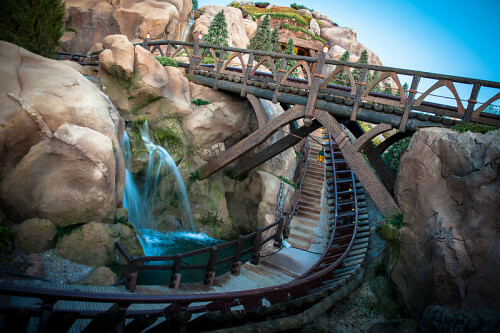 Don’t miss the Seven Dwarfs Mine Train, boarding this summer in Magic Kingdom park. Mine Train is now running at Disney’s Magic Kingdom. Now is a great time to play your vacation with Global Resort Homes with your family so you can check out Mine Train for yourself!